BOOK YOUR COCKTAIL BIRTHDAY PARTY TODAY! 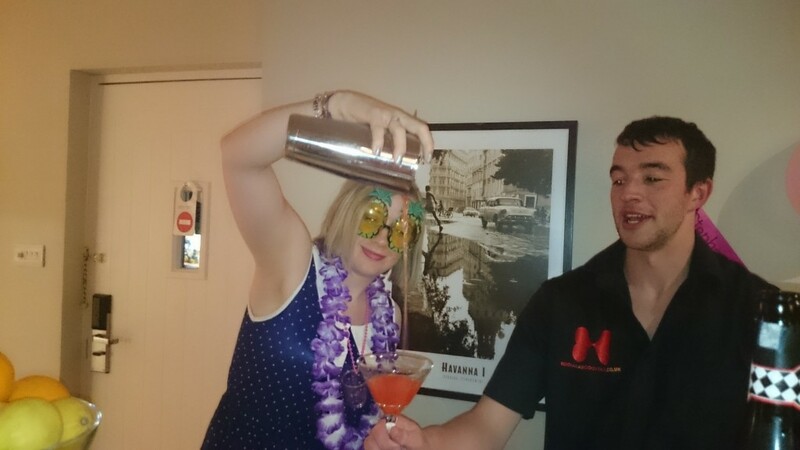 Whether your birthday party is in or around Glasgow, Edinburgh or anywhere in Scotland, our professional cocktail bartenders can be there serving fantastic cocktails to you and your guests. 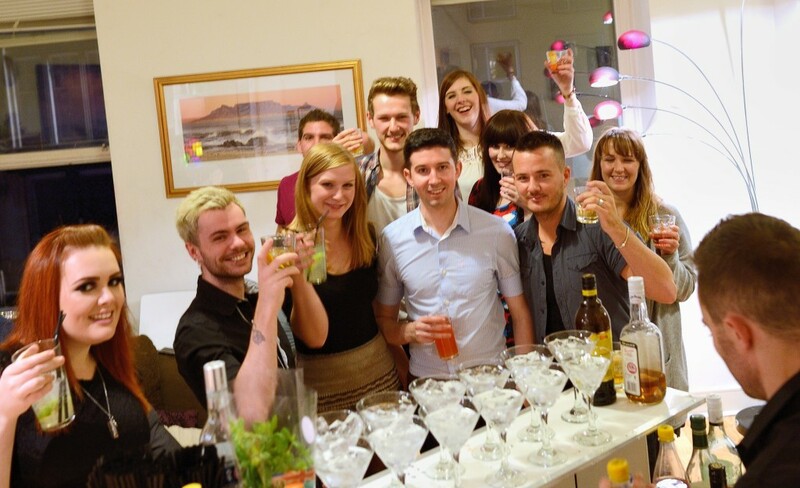 We’ll help you get the party well and truly started, coming to your hotel room, rented apartment or, if you’re thinking of a party at home, our mobile cocktail bar can be set up and ready to serve the best cocktails in Scotland right there in your living room. 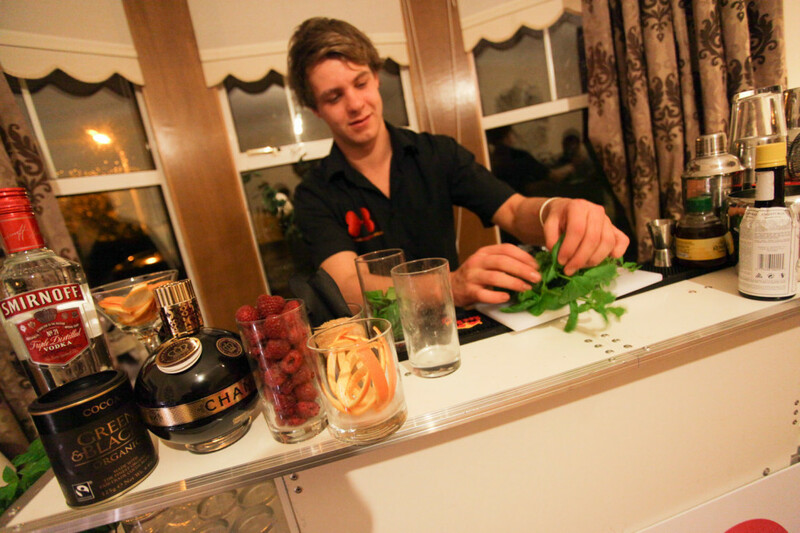 We provide a specially designed mobile cocktail bar, professionally trained cocktail bartenders, exquisite cocktail glassware, fantastic garnishes, and everything else you would expect to find at a premium cocktail bar. 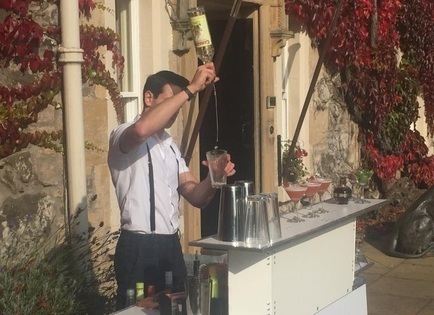 We have liaised with professional mixologists to create 2 fantastic set cocktail menus, both of which will go down a storm with even your choosiest of guests. 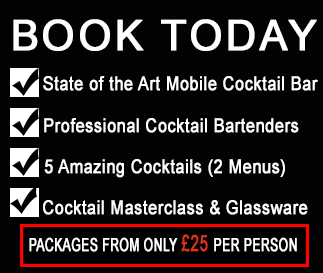 Get in touch today to discuss your Cocktail Party ideas. Request a quote on the right hand side or at the bottom of this page and we’ll be in contact within 24 hours with a proposal to fit your needs. Don’t worry, you don’t need to provide any glassware! 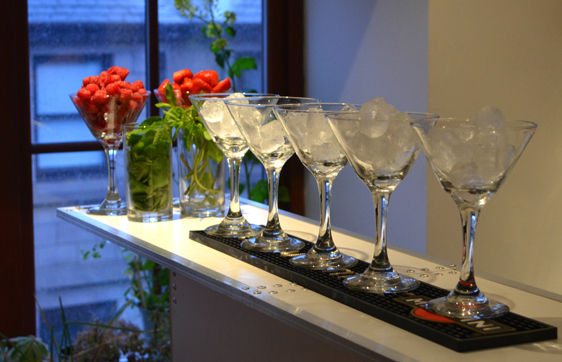 We provide the full range, from Martini Glasses to Highballs. 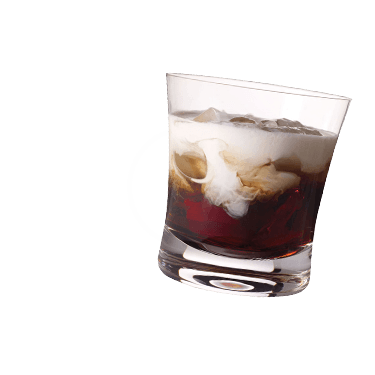 We ensure all of our cocktails are served in their perfect glass. We have a huge range and quantity of glassware to service any type of event, no matter what the size. 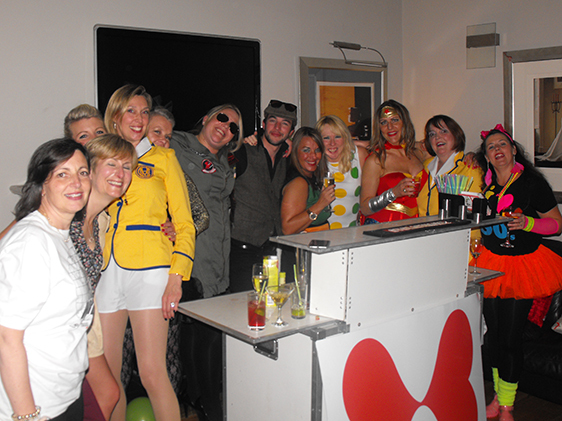 Unlike many of our competitors, we don’t give you a shopping list and ask you to troop down to the local supermarket and off-license – meaning you can get on with organising the rest of the Cocktail Party activities! We bring all the ingredients to make all our cocktails. 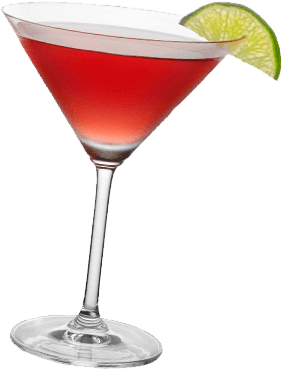 Everyone at the party will enjoy exquisitely prepared cocktails, one of each kind. After a year of serving cocktails up and down Scotland, we have selected the most popular to make your Birthday Cocktail Party extra special. Mocktails We also have a tasty selection of mocktails for non-drinkers. 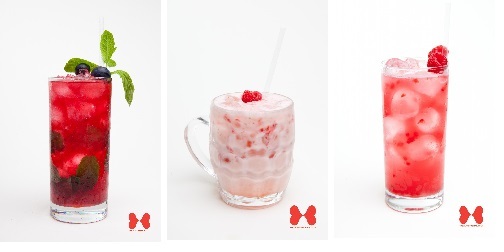 Choose from our Blueberry Mojito, Nirvana, and Raspberry Mule mock concoctions for a delicious non-alcoholic option.